Get to know Whitney! 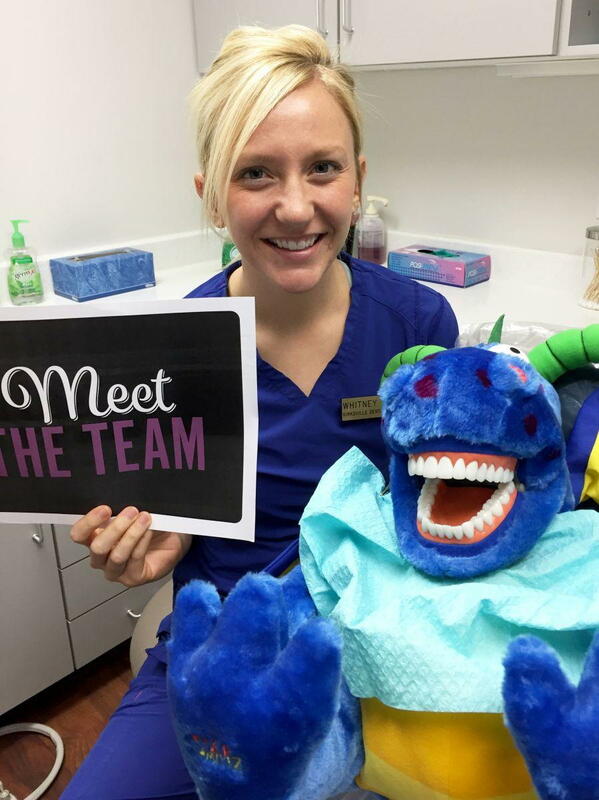 She first joined the team as a Dental Assistant in February 2012, then went to Dental Hygiene school at Concorde Career College in Kansas City, MO and is now one of our Registered Dental Hygienist. 3) What "lesson from mom" do you still live by today? "Treat others how you would want to be treated" and "Life is too short to be anything but happy." 4) What is your favorite thing to do? Make people laugh..either with me or at me and of course hug whoever will let me! 5) What do you love about your job: I love interacting with patients. I love being able to deliver quality dental care to my patients while getting to know them and their families.